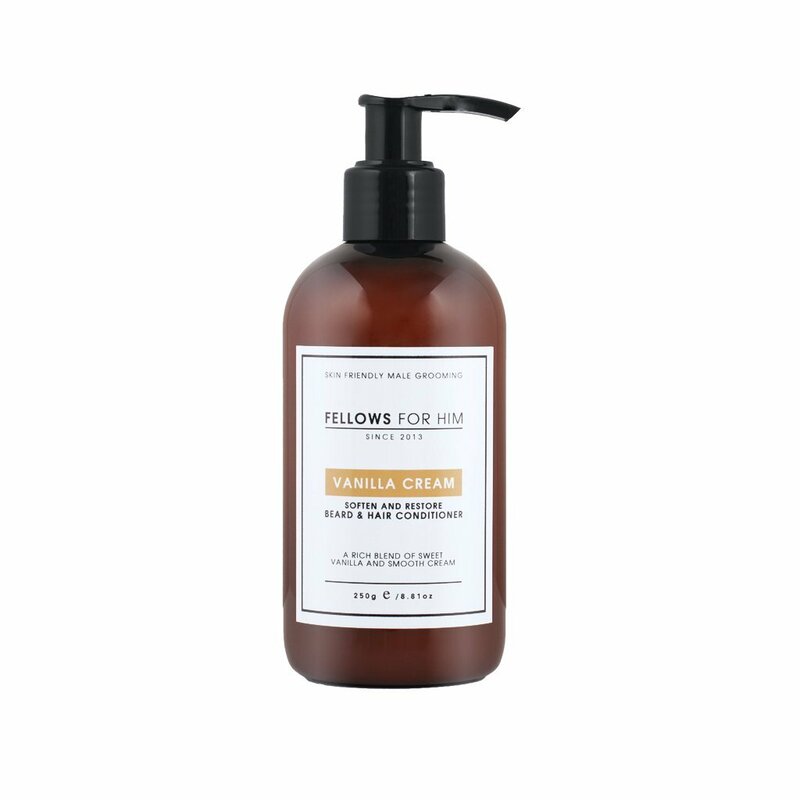 Fellows Essential Gentleman’s Vanilla Cream Beard Conditioner is a perfect way soften, nourish and add moisture to your beard without the use of harsh chemicals. This conditioner is excellent paired with Fellows Essential Gentleman’s Natural Beard Wash. Ingredients: Aqua, Cetearyl alcohol, Olea europaea, Cetrimonium chloride, Helianthus annuus seed oil, Triticum vulgare oil, Aloe barbadensis powder, Camelia sinensis extract, Faex.